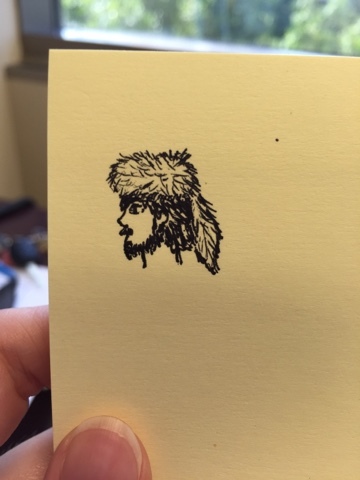 Today, for no particular reason, I doodled a man wearing a coonskin cap on a post-it. Hey, thanks! Have an awesome day.